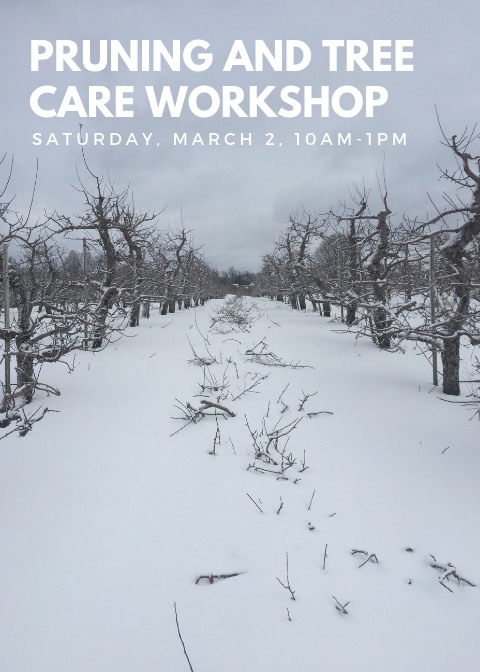 Have you ever wanted to learn how to prune and care for fruit trees? Perhaps there's a neglected apple tree in your backyard or maybe you're considering planting some trees this spring. With a few tips and the right tools, you'll learn how to manage tree growth, identify and prevent disease and encourage fruit set. Spend the morning with us as we demystify the process of pruning and share how we keep our 13,000 trees producing top quality fruit. Guests will get hands-on as we walk through the process of pruning, tying and placing limbs on real apple and pear trees. All pruning tools will be provided along with safety glasses. Includes a hot lunch by the wood stove. This workshop is $65/person or $50/person when booked as a party of two or more. Only 10 spots are available and must be reserved in advance. Please note: this workshop will take place outdoors and guests should come dressed for the weather. Walking and some moderate activity is to be expected. 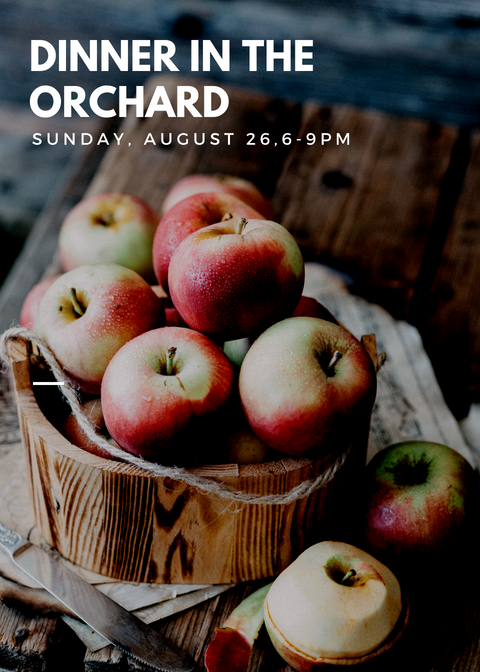 Join us for an intimate evening of local food and craft beer, set in the heart of the orchard. Chef Kevin Brown has crafted a four-course menu using the best seasonal produce and our very own lamb and apples. The Second Wedge Brewing Co. will be on hand to expertly pair each course with a delicious craft beer. The evening will include a wagon ride, guided tour of the orchard, and the first taste of our apple harvest. The event is rain or shine. In the case of inclement weather, the dinner will be moved to a covered area next to the orchard. Please provide us with advanced notice if you have any allergy or dietary concerns with the menu. Tickets are $100 per guest and must be reserved in advance. Only 60 are available.